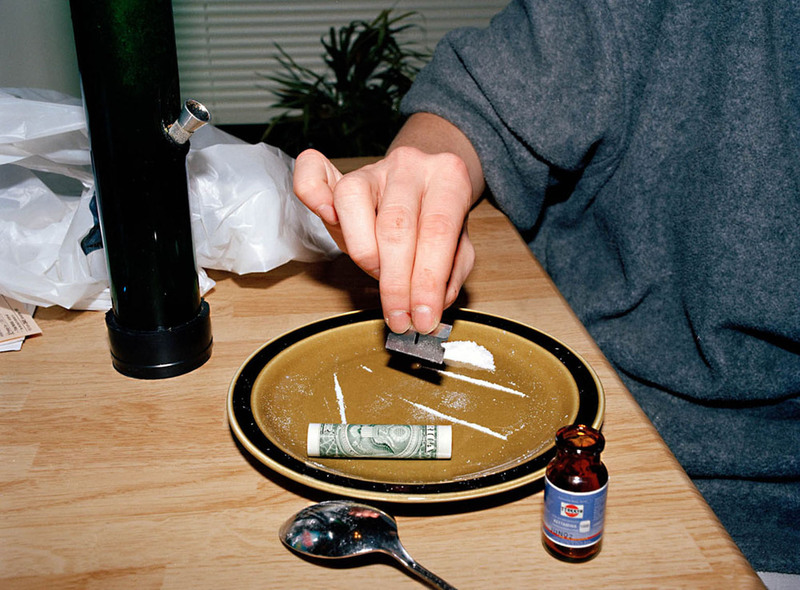 June, 18th, 2000, Baltimore, MA, Special K is divided into lines to be snorted at a party in Washington D.C. In 2001 it was estimated that eight percent of high school seniors had tried the drug at least once, which indicates that hundreds of thousands of teenagers have tried ecstasy in the United States. Lara has taken over three hundred pills, many at gatherings like this one or at raves held around the country. There has been no official statement that ecstasy causes damage to the brain but mounting evidence suggests that there are subtle changes in the brains chemistry that affect mood, memory and the ability to think. Some doctors believe that the brains chemistry is permanently changed after one ecstasy pill.